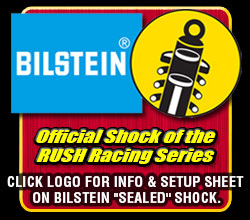 RUSH Dirt Late Model Series - Presented by Sweeney Cars! (Winchester, VA)...The Sweeney Chevrolet Buick GMC RUSH Dirt Late Model Touring Series presented by Pace Performance headed to Winchester Speedway on Saturday night for the finale of the second annual “Battle of the Bay” Speedweek presented by Wehrs Machine & Racing Parts. After torrential rains fell on Friday night that washed out round three of Speedweek at Potomac Speedway, sunshine and mild conditions returned for Winchester as 44 race teams from seven different states plus Ontario, Canada participated. Seven of the eight Speedweek events have now been completed over the two years with car counts over 40 for every event including a high of 53 on Wednesday night at Delaware International Speedway. For the second straight year, Logan Roberson closed out Speedweek victorious at his home track; however, this year, wasn’t able to overcome Max Blair for the $1,000 title. Roberson inherited the lead after race-long leader Ross Robinson lost a driveshaft, but yielded the lead to Blair when racing resumed on lap 20, then would out-duel Blair on the following lap to regain the top spot and went on for his first Sweeney Tour win of the season. Roberson earned $3,225 for his night’s work along with a Sunoco 5-Gallon Race Jug plus $500 for his runner-up in Speedweek points. (Mechanicsville, MD)...After two ultra-successful nights to open the second annual “Battle of the Bay” Speedweek presented by Wehrs Machine & Racing Parts with 53 and 50 cars at Delaware International and Georgetown Speedways respectively for the Sweeney Chevrolet Buick GMC RUSH Dirt Late Model Touring Series, Mother Nature temporarily put a halt to Max Blair’s win streak on Friday night. With 100% likelihood of heavy thunderstorms throughout the day and night, officials at Potomac Speedway pulled the plug early to save teams from unnecessarily traveling to the southern Maryland clay oval. It marked the third straight Friday night that Potomac has succumbed to Mother Nature. (Georgetown, DE)...The Sweeney Chevrolet Buick GMC RUSH Dirt Late Model Touring Series presented by Pace Performance moved on to Georgetown Speedway on Thursday night. Night two of the second annual “Battle of the Bay” Speedweek presented by Wehrs Machine & Racing Parts brought out a Georgetown record 50 race teams from seven different states plus Ontario, Canada one night after setting a Speedweek record of 53 cars at Delaware International Speedway (DIS). It was a summer-like day with sunshine and 85-degree weather, which saw a large crowd turn out. On Wednesday night, Max Blair opened Speedweek by sweeping the night setting fast time, winning his heat, the dash, and feature taking home $4,325 in the “Raelyn Huffman Memorial” at DIS. On Thursday night, Blair nearly duplicated the feat doing everything but setting fast time as he pocketed $3,075 after his career first Georgetown win bringing his two-night Speedweek cash earnings to $7,400. Blair has now made four career starts in the “First State” and has won three of them. (Delmar, DE)...The Sweeney Chevrolet Buick GMC RUSH Dirt Late Model Touring Series presented by Pace Performance kicked off the 2019 season on Wednesday night at Delaware International Speedway (DIS). Night one of the second annual “Battle of the Bay” Speedweek presented by Wehrs Machine & Racing Parts brought out a Speedweek record 53 race teams from seven different states plus Ontario, Canada. 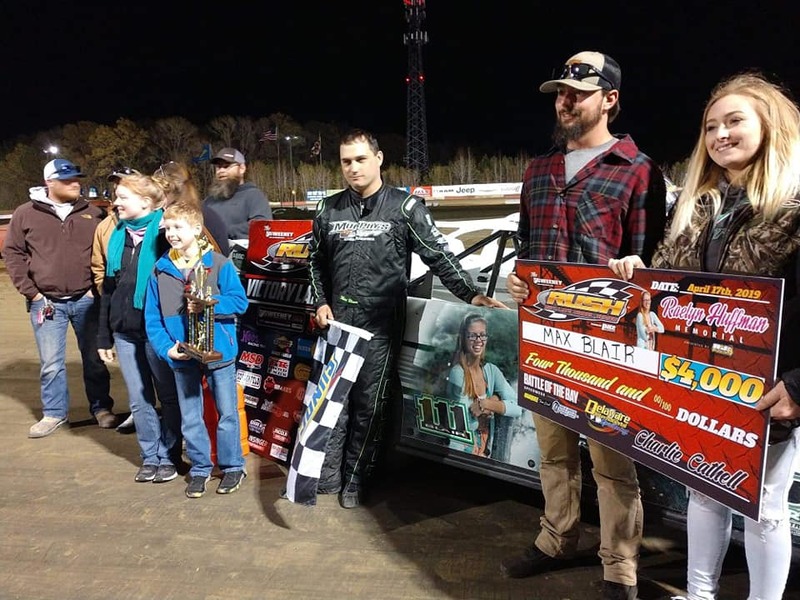 It was the inaugural “Raelyn Huffman Memorial” as over $6,000 was raised by friends and family of the Huffmans, which went directly into the purse. Last year, Max Blair opened the “Battle of the Bay” Speedweek victorious at DIS in his first ever race in the “First State”. Blair returned on Wednesday night with a tribute car for Raelyn Huffman and left little doubt he was the class of the field. Blair set fast time, won his heat race, the dash, and led all 40 laps of the feature to earn $4,325! In addition, Blair received one of the new Sunoco 5-Gallon Race Jugs and a rear spoiler from Ontime Body & Graphic adding an additional $200 in contingencies. 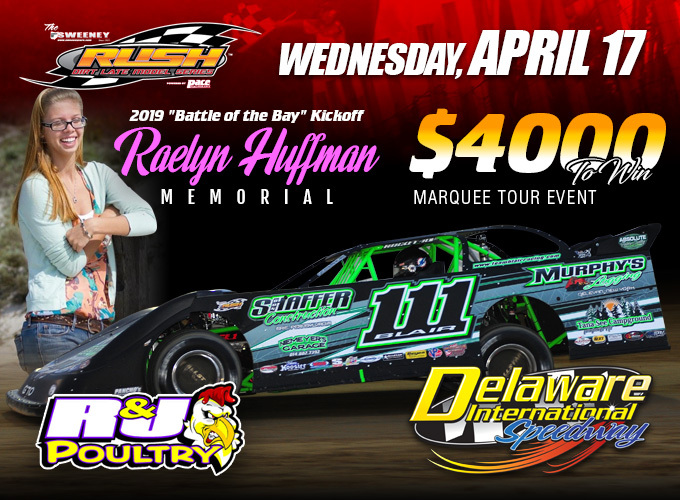 (Pulaski, PA)...The Sweeney Chevrolet Buick GMC RUSH Dirt Late Model Touring Series powered by Pace Performance is set to open the 2019 season on Wednesday night, April 17 at Delaware International Speedway in Delmar, DE for the "Raelyn Huffman Memorial" that kicks off the four-night "Battle of the Bay" Speedweek presented by Wehrs Machine & Racing Parts. Speedweek then heads to Georgetown (DE) Speedway on Thursday night, Potomac Speedway in Mechanicsville, MD on Friday night before wrapping up on Saturday night at Winchester (VA) Speedway. (Pulaski, PA)...The Sweeney Chevrolet Buick GMC RUSH Racing Series powered by Pace Performance is proud to announce that Ontime Body & Graphic will substantially increase their involvement with the Series in 2019. The Stoystown, Pa. based business owned by Mark McClellan will present the "Spoiler Alert" Contingency" program at all 2019 Sweeney RUSH Late Model Touring Series events as well as provide the Series with all graphic services. 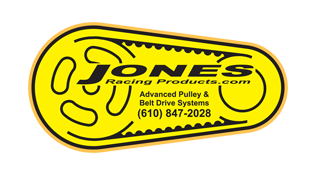 (Pulaski, PA)...The Sweeney Chevrolet Buick GMC RUSH Racing Series powered by Pace Performance is pleased to announce that Hovis Auto & Truck Supply has become a major corporate marketing partner of RUSH for the upcoming 2019 season.  Hovis, who has 17 locations throughout western Pennsylvania, will be the presenting sponsor of the RUSH Sportsman Modified Weekly, Touring, and Futures Cup Championship programs. In addition, Hovis will be a major presenting sponsor of the historic $10,000 to-win "Bill Emig Memorial" for the RUSH Late Model Touring Series at Lernerville Speedway June 20-22. (Pulaski, PA)...The Sweeney Chevrolet Buick GMC RUSH Racing Series powered by Pace Performance is proud to welcome Performance Bodies & Parts as a new marketing partner for the upcoming 2019 season. 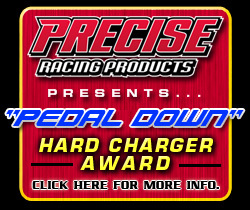 Performance Bodies & Parts will award $4,000 in MD3 product certificates to various RUSH Late Model, RUSH Pro Mod, and RUSH Pro Stock racers in 2019 primarily through the Series' Manufacturers Nights presented by MSD Performance. (Pulaski, PA)...The Sweeney Chevrolet Buick GMC RUSH Racing Series powered by Pace Performance is proud to announce that its partnership with Landrum Performance Spring will not only continue in 2019, but substantially increase. 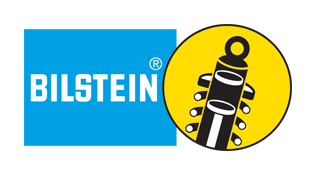 For the third straight year, Landrum will align their quality products with RUSH contributing 27 product packages each consisting of four VB Springs across all of the Series' "Manufacturers Nights" presented by MSD Performance. The value of these Landrum product packages exceed $7,500. (Pulaski, PA)...The Sweeney Chevrolet Buick GMC RUSH Dirt Late Model Touring Series powered by Pace Performance is geared up for its richest season in history. The Series is proud to officially release its 17-event 2019 slate that features nine events paying $3,000 or more to win with increase in payoffs, new events such as the $10,000 to-win "Bill Emig Memorial" and back-to-back $4,000 to-win shows in Quebec, a return to MAVTV at Weedsport, "Manufacturers Nights" presented by MSD Performance plus the new "$500 Club" program. 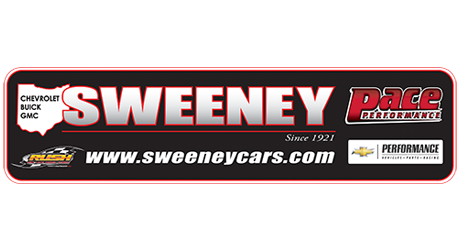 All Sweeney Tour events will now pay a minimum of $2,000 to-win, $225 to-start with a $200 to-win non-qualifier, and guaranteed $125 tow money. 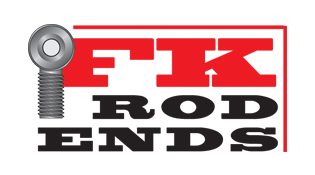 All events will utilize the group qualifying format featuring $100 FK Rod Ends “Shock the Clock Qualifying” and $25 to-win FK Rod End heat races. The new "500 Club" will allow five drivers from the host speedway's top 15 in points (or the closest nearby track if not at a weekly-sanctioned track) the ability to win an additional $100 cash bonus at Sweeney Touring Series events! The "500" Club will influx an additional $7,000 of available cash into the hands of RUSH "weekly" racers who participate in RUSH Touring events! The "$500 Club" will take place at all Sweeney Tour events with the exception of the Lernerville "Bill Emig Memorial" and at the Quebec events, which will have a separate promotion. 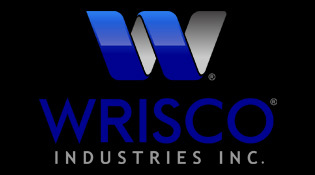 (Pulaski, PA)...The Sweeney Chevrolet Buick GMC RUSH Racing Series powered by Pace Performance is proud to welcome Wehrs Machine & Racing Parts as a new major marketing partner for the 2019 season. Wehrs will present the "Battle of the Bay" Speedweek for the RUSH Late Model Touring Series, and will also be a major contributor at "Manufacturers Nights" presented by MSD Performance in 2019. 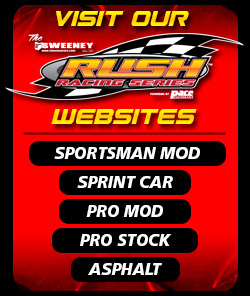 (Pulaski, PA)...The Sweeney Chevrolet Buick GMC RUSH Racing Series powered by Pace Performance is thrilled to announce that Trailer-Alarms.com will be the "Official Security System" of RUSH for the upcoming 2019 season. 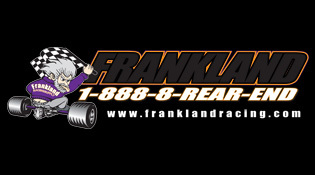 Trailer-Alarms.com will award over $4,000 of trailer alarm system and trailer door lock products to RUSH racers in 2019! (Edinburg, PA)...While the 2019 racing season is only a few months away, Sweeney Chevrolet Buick GMC RUSH Racing Series powered by Pace Performance Directors Vicki Emig and Mike Leone put a final wrap on the 2018 racing season with the annual awards banquet and dinner on Saturday night at the Gatherings Banquet & Event Center in Edinburg, Pa. A record number of attendees filled the beautiful banquet hall as over $130,000 in cash and thousands in contingencies were distributed to Sweeney RUSH Late Model, Sprint Car, Sportsman Modified, Pro Mod, and Pro Stock racers. All told well over a quarter million dollar in point fund monies and useful product contingencies were distributed to RUSH racers throughout the 2018 season. 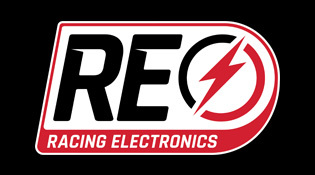 RACING ELECTRONICS CONTINUES AS "OFFICIAL RACING COMMUNICATIONS" OF SWEENEY RUSH RACING SERIES IN 2019; WILL PROVIDE EQUIPMENT FOR SERIES OFFICIALS & 20 SWITCH GIVEAWAYS FOR "MFG NIGHTS"
(Concord, NC)...The RUSH Racing Series powered by Pace Performance is pleased to announce that Racing Electronics will once again be the "Official Racing Communications" of RUSH in 2019.  "We were pleased have Racing Electronics join the RUSH Racing Series as our 'Official Racing Communications' last year," stated RUSH Series director Vicki Emig. (Ransomville, NY)...The Sweeney Chevrolet Buick GMC RUSH Racing Series powered by Pace Performance will have two sanctioned events at New York's Ransomville Speedway in 2019. 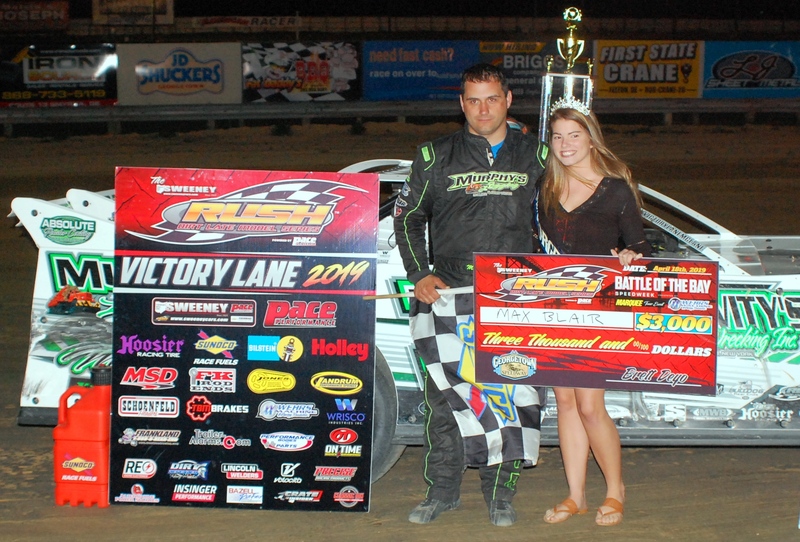 A Sweeney RUSH Late Model Weekly Series event will take place on Friday, June 7, while the RUSH Sprint Cars will make their first ever appearance on Friday, September 13 in a Bonnell's Rod Shop Weekly Series event. (Sarver, PA)...The Sweeney Chevrolet Buick GMC RUSH Racing Series in conjunction with Lernerville Speedway and the World of Outlaws are thrilled to announce a major and historic addition to Pennsylvania's richest Late Model event. The 2019 "Firecracker 100" at Lernerville Speedway on June 20-22 will not only again feature three World of Outlaws Morton Buildings Late Model Series events capped off by the $30,000 to-win 100-lap main event on Saturday night, but also a 50-lap $10,000 to-win Sweeney RUSH Late Model Touring Series event! The RUSH portion will become the "Bill Emig Memorial" and will be the richest Crate Late Model event in the 13-year history of the Northeast. 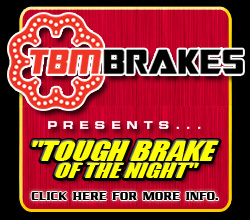 This is thought to be the first time that a major Crate Late Model event will be held in conjunction with a national crown jewel Super Late Model event. (Pulaski, PA)...The Sweeney Chevrolet Buick GMC RUSH Racing Series powered by Pace Performance is excited to be participating in the 34th annual Pioneer Pole Buildings Motorsports Racecar & Trade Show fueled by Sunoco & distributed by Insinger Performance January 18-20 at the Greater Philadelphia Expo Center in Oaks, Pa. The Show boasts 240,000 square feet of nothing but racing! Matt Hill, the 2018 Delaware International Speedway RUSH Late Model track champion, will have his #84 on display throughout the three-day event. (Pulaski, PA)...The Sweeney Chevrolet Buick GMC RUSH Racing Series powered by Pace Performance will be going to an uncharted territory in 2019. The Sweeney RUSH Late Model Touring Series will not only cross the border into Canada, but move into the French speaking province of Quebec for the first time in Series history! On Friday and Saturday, July 12-13, Autodrome Granby and Le RPM Speedway will host back-to-back Platinum Touring Series events paying $4,000 to-win, $400 to-start in US currency! The two tracks are located only 40 miles apart. 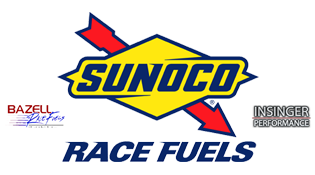 In addition, a minimum of 20 $100 Sunoco gift cards will be distributed to participating competitors to assist with travel expenses! (Pulaski, PA)...The Sweeney Chevrolet Buick GMC RUSH Dirt Late Model Series powered by Pace Performance is excited to announce a new program for the upcoming 2019 season. The "500 Club" will allow five drivers from the host speedway's top 15 in points the ability to win an additional $100 cash bonus at Sweeney Touring Series events! The "500" Club will influx an additional $8,000 of available cash into the hands of RUSH "weekly" racers who participate in RUSH Touring events! 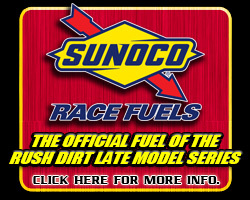 (Pulaski, PA)...The Sweeney Chevrolet Buick GMC RUSH Racing Series powered by Pace Performance is pleased to announce that Woodhull Raceway in Woodhull, New York will be the newest track part of the Sweeney RUSH Late Model Weekly Series beginning in 2019 with weekly Saturday night racing. Woodhull becomes the fifth Empire State track to run the RUSH Late Models on a weekly basis in addition to several other New York tracks that host special Weekly or Touring events. (Pulaski, PA)...The Sweeney Chevrolet Buick GMC RUSH Racing Series powered by Pace Performance held its fifth annual Authorized Engine Rebuilder Facility Seminar on Saturday (November 10) at the Hampton Inn & Suites Grove City (PA). Attendance to this meeting was again "mandated" for those facilities authorized to rebuild engines for the RUSH Late Models, Sprint Cars, Sportsman Modifieds, Pro Mods, Pro Stocks, and Asphalt Series. Engine facilities from several states including new 2018 rebuilders Eagle Racing Engines from Knoxville, Tennessee and Conklin Racing Engines from Morrisdale, Pa. plus two rebuilders from Ontario, Canada were on hand. (Pulaski, PA)...With the 2018 season for the Sweeney Chevrolet Buick GMC RUSH Dirt Late Model Touring Series concluded, the attention has quickly turned to preparation for the 2019 season. For the second straight year, the "Battle of the Bay Speedweek" will kickoff the Sweeney Tour campaign at Delaware International, Georgetown, Potomac, and Winchester Speedways April 17-20. 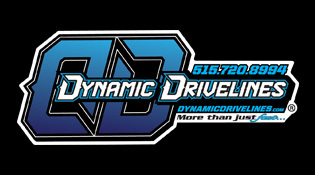 This year however, the opening round at DIS will be highlighted by the "Raelyn Huffman Memorial" paying $4,000 to-win! (Pulaski, PA)...Other than a pair of late season events, the 2018 season for the Sweeney Chevrolet Buick GMC RUSH Racing Series powered by Pace Performance is completed and the Series is proud to announce that 17 different drivers at 19 different race tracks claimed their individual RUSH weekly-sanctioned championships. 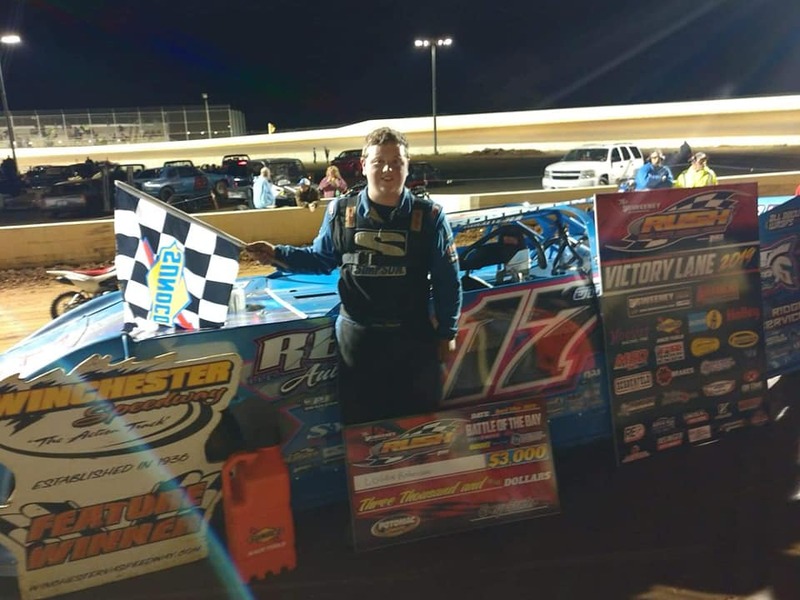 All told in 2018, the RUSH Racing Series sanctioned events at some 30 different speedways throughout the Northeast, Mid Atlantic and Ontario, Canada. (Sarver, PA)...The Sweeney Chevrolet Buick GMC RUSH Racing Series powered by Pace Performance were part of the 10th annual "Steel City Stampede" this past weekend at Lernerville Speedway featuring the Sweeney RUSH Late Model Touring Series, the Bicknell Racing Products RUSH Sportsman Modified Touring Series, and the Bonnell's Rod Shop RUSH Sprint Car Weekly Series in their season finale events. Capturing feature wins were Colton Flinner (Late Models), Blaze Myers (Sportsman Modifieds), and Chad Ruhlman (Sprint Cars), while Ricky Steigerwald ended the night winning the Late Model Non-Qualifier. 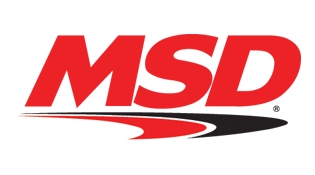 The RUSH Pro Stock "Manufacturers Night" presented by MSD Performance took place on Saturday with product giveaways for all 20 Lernerville competitors. 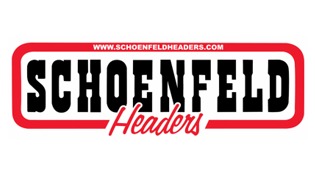 Sixth starting Colton Flinner passed a determined Jeremy Wonderling on lap 16 and held him off to the finish to become the 12th different Sweeney Tour winner in 17 races during the 2018 campaign, worth $2,000. 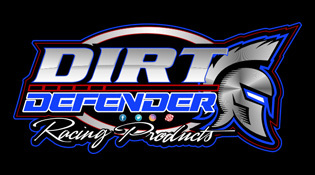 Wonderling charged from sixth to win the dash to earn the feature pole then dominated the first half of the event before settling in and finished second to overtake eighth place finishing Jason Genco in the standings to win the $5,000 Tour title.